For Bio Hazard - Infection Control - Hazmat Clean Up Training. All Your Germ Prevention Needs! 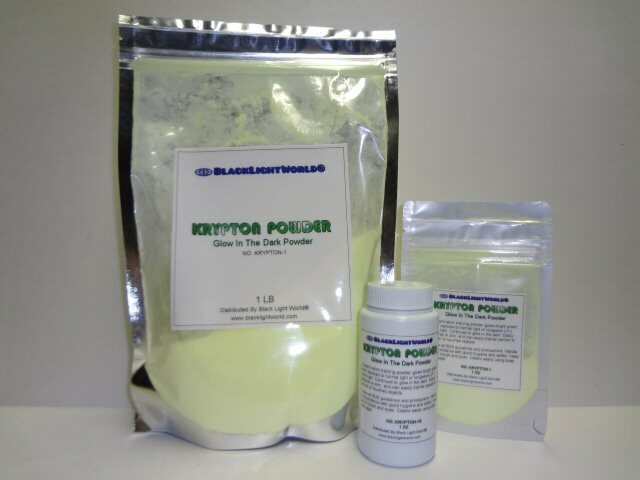 Krypton powder is available in 1 oz, & 1 Pound mylar zip lock packets as well as our 1 oz sifter bottle to easily sprinkle powder. 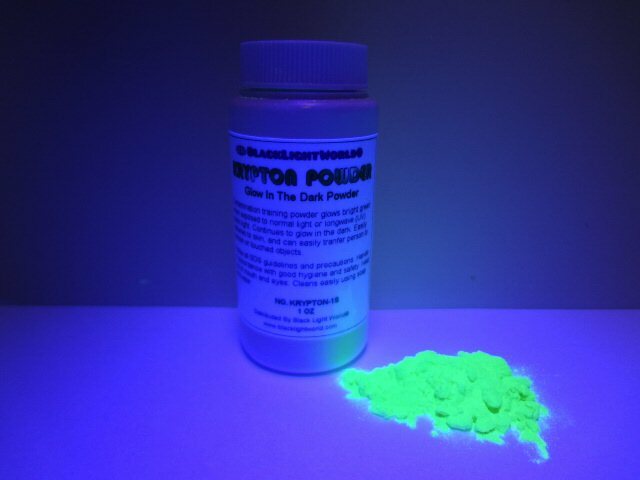 Glows bright using longwave Uv light sources and remains glowing in the dark for several minutes. Lightly dusting its virtually undetectable. 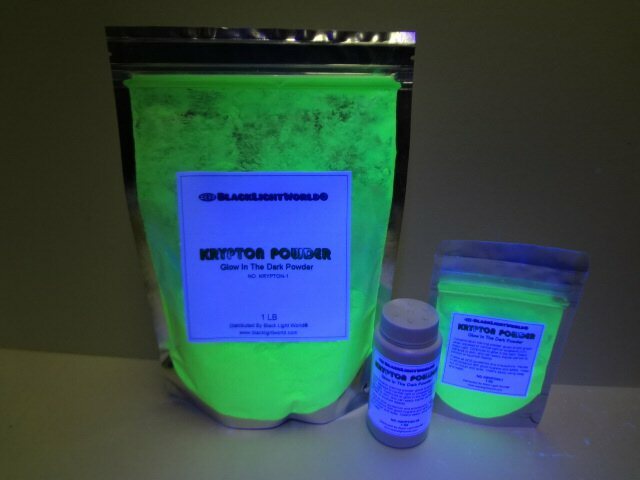 Normal white light will also make powder glow in the dark. Great for surface cleaning inspections, hand to hand transfer contamination & much more. 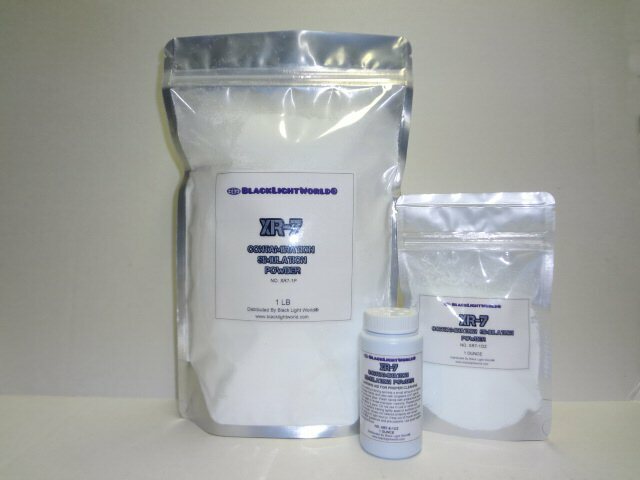 All Your Germ Prevention Projects! 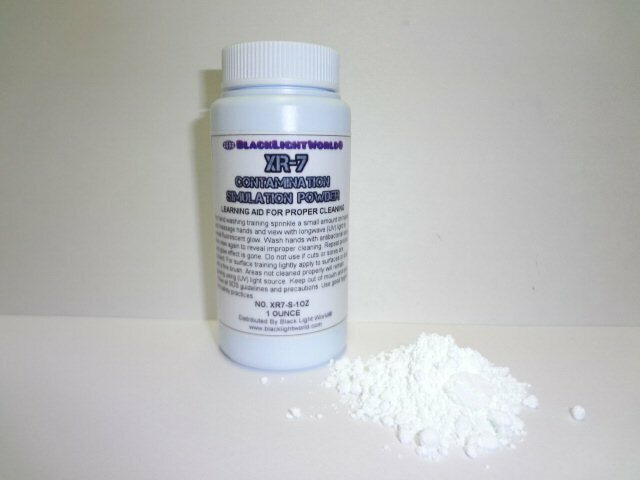 XR7 powder is available in 1 oz, & 1 Pound mylar zip lock packets as well as our 1 oz sifter bottle to easily sprinkle powder. 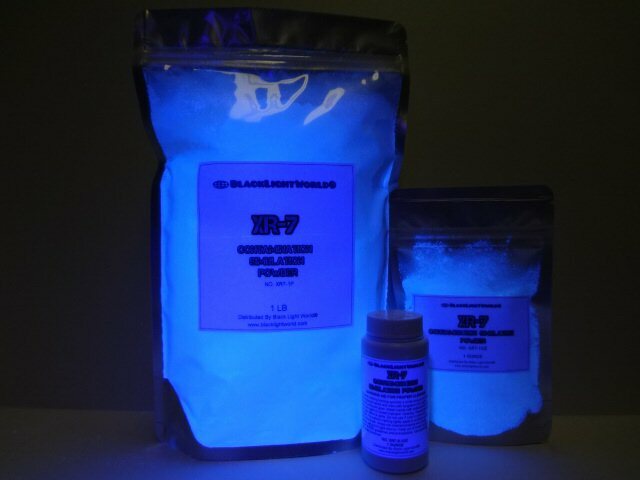 Glows bright using longwave Uv light source only. 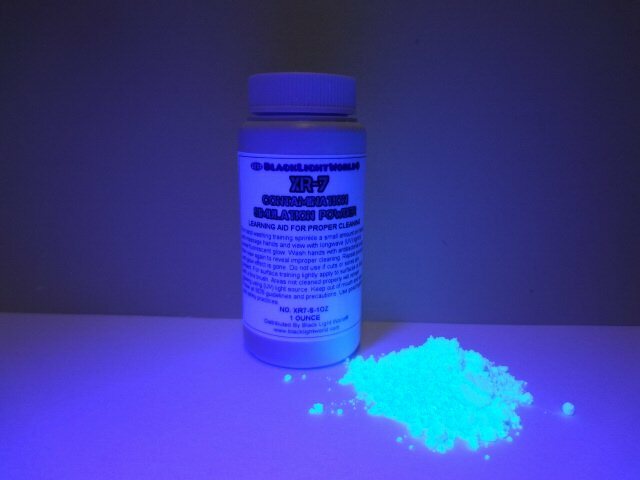 Will not glow in the dark. Lightly dusting its virtually undetectable. 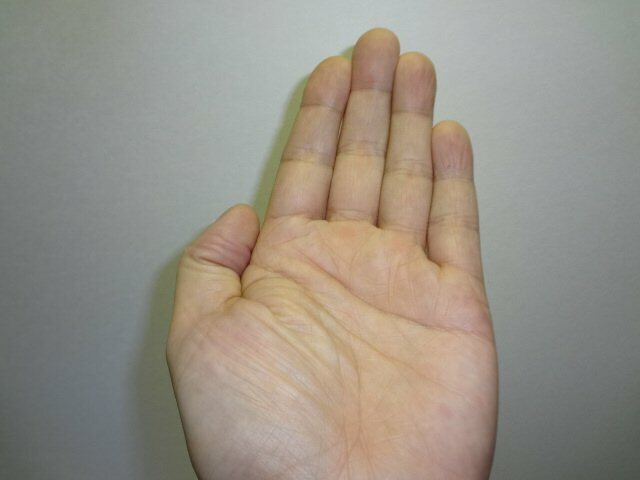 Lightly dusted on hands to hard surfaces it is virtually undetectable. Has many practical uses from hand washing training to surface cleaning inspections, hand to hand transfer contamination & much more. 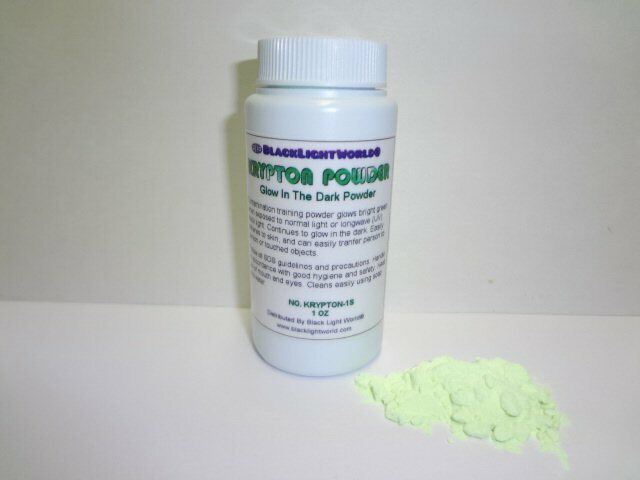 ALL POWDERS ARE NON RETURNABLE, PLEASE SAMPLE 1OZ SIZE PRIOR TO LARGER ORDERS. To be used under adult supervision only! Above products are very safe and non toxic. Safety while using these products should be followed. Never allow students to use if they have cuts, sores, skin conditions, dry skin, or prone to allergies or various allergic reactions. Keep away from mouth and eyes. 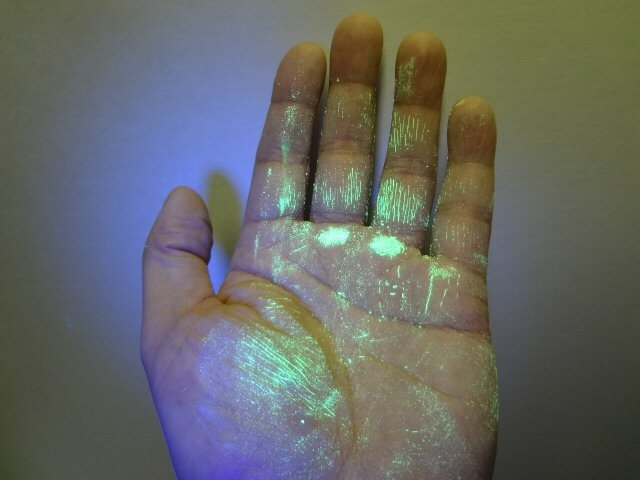 Avoid getting on clothing, can cause permanent staining.